Arrival at Delhi railway station,you will meet our representative and proceed to Haridwar. Reach Haridwar in the evening, checkin to the hotel. Visit Mansa Devi Temple, enjoy Ganga Arti at Har Ki Podi. After breakfast checkout from the hotel and proceed to Rishikesh. En route visit Ram and Lakshaman Jhula. Drive to Barkot (216 Kms / 7 hrs). Reach in evening,check in at the hotel. After breakfast proceed to Janaki chatti (Approx. 45 km.) to shorten your trek by 5 Kms. Proceed to Yamunotri temple by walk / horse. After breakfast checkout from the hotel and Proceed to Uttarkashi. Visit Shakti Temple, Kuteti Devi temple,Vishwanath Temple, Nachiketa Lake. Early morning proceed to Gangotri . After arrival at Gangotri, take a Holy Dip in the sacred Ganges, Perform Pooja and return back to Uttarkshi. After breakfast checkout from hotel and proceed to Guptkashi / Rampur . Early morning after breakfast proceed to Kedarnath. Enroute visit Sonprayag,Gaurikund by Govt. Jeep. Later on proceed to Kedarnath. Return to Guptkashi / Rampur. Early morning proceed to Sirsi / Phata / Guptakashi Helipad to Kedarnath Helipad. 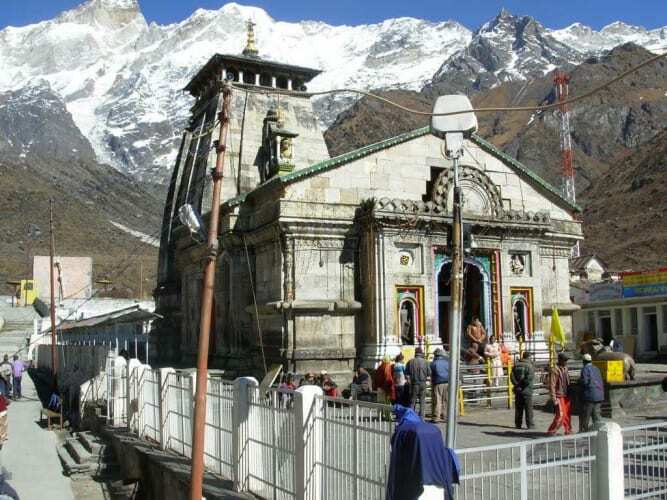 Later, proceed to Kedarnath Temple by walk. After visiting Temple, return to Helipad to board the Helicopter back to Rampur. After breakfast checkout from the hotel and proceed Pipalkoti. After Breakfast proceed to Badrinath. 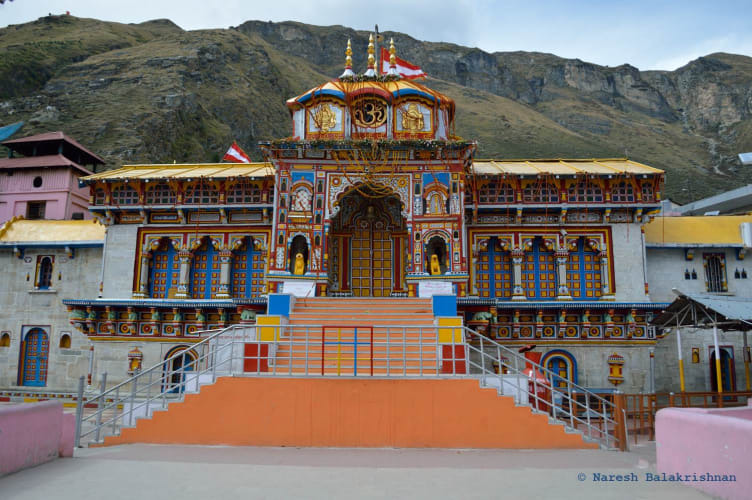 After arrival, visit Mana village, the last village before the Indo – Tibetan border. Visit evening Arti and temple Darshan. Overnight stay at Badrinath Hotel. After breakfast proceed to Haridwar. En route visit Rishikesh, Shivananda Ashram, Swarg Ashram, Geeta Ashram. 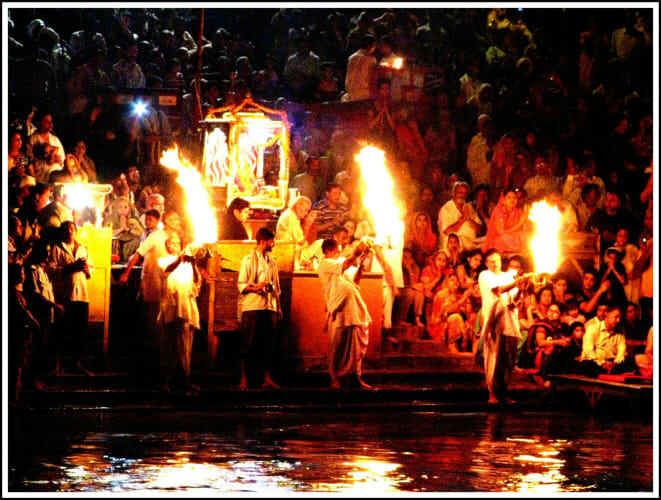 Ganges and enjoy arati in the Ganga river at Har-Ki-Pauri in the evening. Over Night stay at haridwar. After breakfast proceed to Delhi Drop at Railway station or Drop Point. Pickup and Drop from Delhi to Delhi. All Transport and Sightseeing are included. Transport depends on no. of Person In Package. All toll / parking fees. Cancellations made 45 days or more before departure. Check in and checkout time as per hotel policy. Meals Timing must be followed as per the instructed time of the hotels. For any un-availed meals we shall not be responsible. Please carry your valid identity proof card containing your photographs at it is required at the airport and during check in to hotels. For early check in and late checkout payments are to be settled directly by the guest at the hotel. No refund will be made for any unused accommodation, missed meals,transportation sightseeing tours or any other service due to Bad weather, ill health,Strike, Road blocks or any other factor beyond ourControl. Such unused items are neither refundable nor exchangeable. No discount will be provided after confirmation of the package.